You will catch a flight from O.R. Tambo International Airport to Vilanculos. There you will be met by a representative from the lodge before being flown along the beautiful coastline by helicopter to the paradise of Benguerra Island. After you have settled into your tropical beach lodge before setting out on a tranquil sunset cruise in a traditional wooden vessel called a dhow around the archipelago. 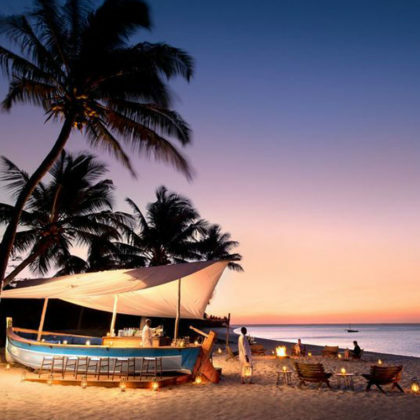 Situated on the beautiful Bazaruto Archipelago in a marine reserve and surrounded by beautiful pristine while beaches is Benguerra Island Lodge. The waters are tranquil making them perfect for swimming and snorkeling. This morning you will go snorkeling. Surrounded by premier diving sites, the lodge is the gateway to an underwater wonderland for divers, with a rich variety of tropical fish species complemented by Africa’s only population of the rare dugong. 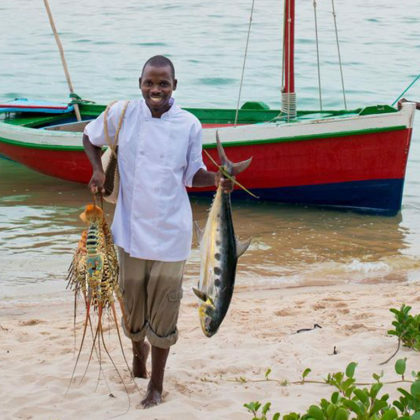 The deep Mozambique Channel, which runs alongside the island, is renowned for its game fish and Benguerra Island offers some of the world’s best catch-and-release deep sea fishing and fly fishing opportunities. 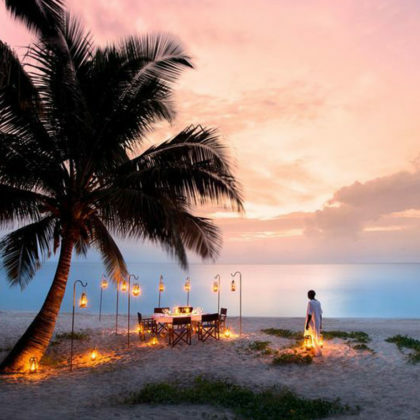 For lunch savor a delicious castaway picnic in a secluded spot on the island while admiring the tranquil views out over the Indian Ocean. 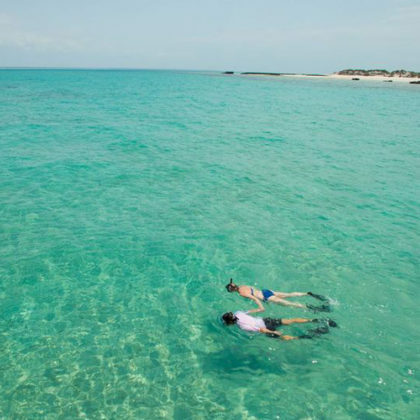 This morning you can enjoy diving and snorkeling just off the island. You will often spot the resident pod of common or humpback dolphins. While on a dive you may encounter devil rays or sting rays gliding along the sea bottom, while leatherback, loggerhead and green turtles are all found here. White-tip, black-tip, grey reef or giant sleeping sharks are also frequently encountered along the reefs. A rare marine mammal related to the manatee, the dugong is undoubtedly the most endangered animal found in the waters off Benguerra. Hunted by humans for thousands of years, they have also become vulnerable due to habitat loss and many populations are close to extinction. Typically occurring in wide, shallow protected areas such as bays, the largest numbers of dugong in Africa are believed to live off the Bazaruto Archipelago. While the animal’s semi-nomadic nature makes it even more notoriously difficult to see, Benguerra is a haven for Africa’s only herds of this elusive animal. Often considered the inspiration for tales of mermaids spun by ancient marines, references to the mysterious dugong are found in various legends around the world. In the evening you will once again enjoy a tranquil sunset dhow cruise. Spend the morning enjoying a sea kayaking expedition along the scenic coastline of the island. While the island is fringed with golden, sandy beaches, its interior is a lush patchwork of forests, wetlands and fresh water lakes. 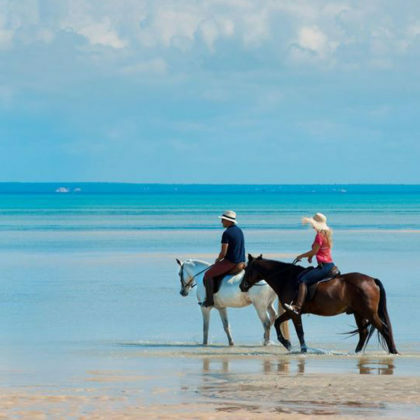 You can also go on a horse riding expedition in the afternoon to explore the interior of the island, climbing the sand dunes and passing small lakes which are home to crocodiles and pretty pink flamingos. This morning after a delicious breakfast you will be collected once more by helicopter and flown along the scenic coastline of Mozambique back to Vilanculos. In Vilanculos you will catch a flight to Johannesburg O.R. Tambo International Airport.